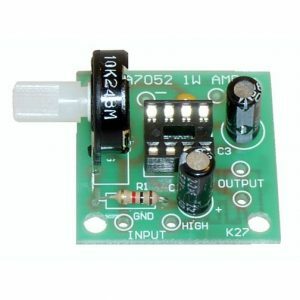 Ion Generator Kit – CK1103. Soldering required. 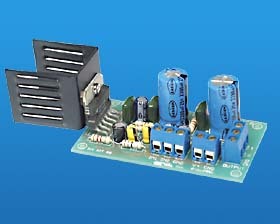 Ion Generator Kit (positive or negative). Are there some healthful positive benefits caused by being in an environment that contains negative or positive ions? Some reports suggest a wide range of benefits. This generator can be set up to generate either negative or positive ions; the builder’s choice. Operation is from 117 Volts AC power line. You will need to find a case or box for the final assembly. You can actually feel the flow of ions from the unit. 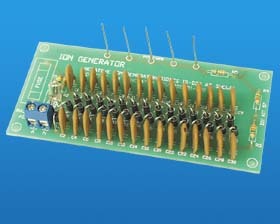 Ion Generator Kit (positive or negative). Are there some healthful positive benefits caused by being in an environment that contains negative or positive ions? Some reports suggest a wide range of benefits. This generator can be set up to generate either negative or positive ions; the builder’s choice. Operation is from 117 Volts AC power line. You will need to find a case or box for the final assembly. You can actually feel the flow of ions from the unit. DIY K57. L: 4-3/8″ W: 2″ H: 3/4″. Can be configured to generate positive or negative ions. Operates on 117 Volts AC. DANGER – OPERATES WITH AC MAINS POWER! USE CAUTION. Requires line cord (from old lamp, etc.). Enclosure strongly recommended (2″ x 4-1/4″ x 1″deep).